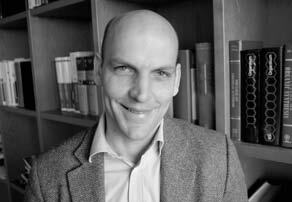 Benjamin List | Gesellschaft Deutscher Chemiker e.V. As a fundamental activation mode, Lewis acid catalysis enables key reactions in chemical synthesis, such as the Diels–Alder and Friedel–Crafts reactions, and various aldol, Mannich, and Michael reactions. Consequently, substantial efforts have been directed towards the development of enantiopure Lewis acids, which have enabled important asymmetric variations of such reactions. Despite the plethora of elegant catalysts and methodologies developed in this context, a key limitation of enantioselective Lewis acid catalysis is the frequent need for relatively high catalyst loadings, which result from issues such as insufficient Lewis acidity, product inhibition, hydrolytic instability, and background catalysis. 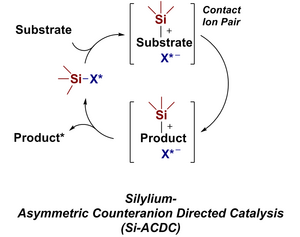 We have recently developed in situ silylated disulfonimide-based organocatalysts, which address some of these problems in highly enantioselective Mukaiyama-type reactions involving silicon-containing nucleophiles with unprecedentedly low catalyst loadings. As an example of asymmetric counteranion-directed catalysis (ACDC), these reactions proceed via silylation of an electrophile, generating a cationic reactive species that ion-pairs with an enantiopure counteranion and reacts with a silylated nucleophile. 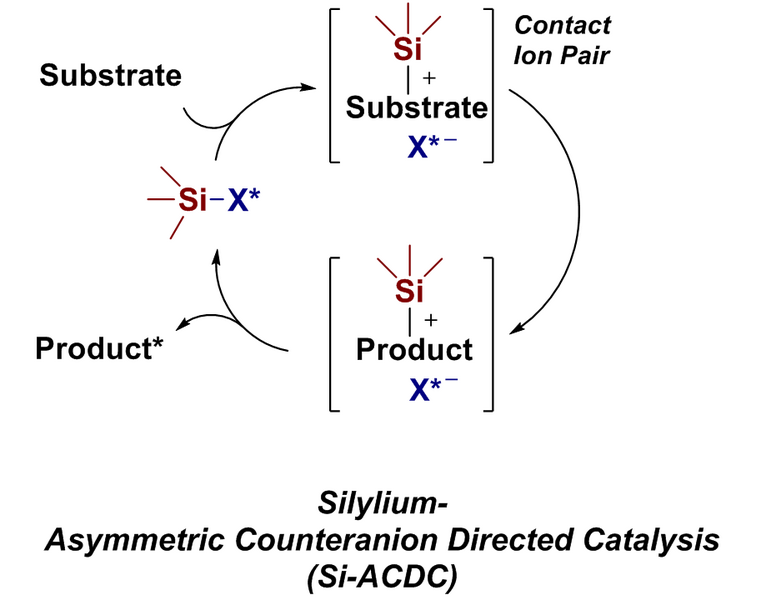 We became interested in expanding this “silylium-ACDC” approach to, in principle, all types of Lewis acid catalyzed reactions, including those that do not involve silylated reagents. In my presentation, I will discuss how the concept evolved from our studies on ACDC. I will furthermore describe its first realization with the development of extremely active organic Lewis acid catalysts that enable asymmetric versions of highly challenging Diels–Alder reactions. Geboren am 11. Januar 1968 in Frankfurt/Main. 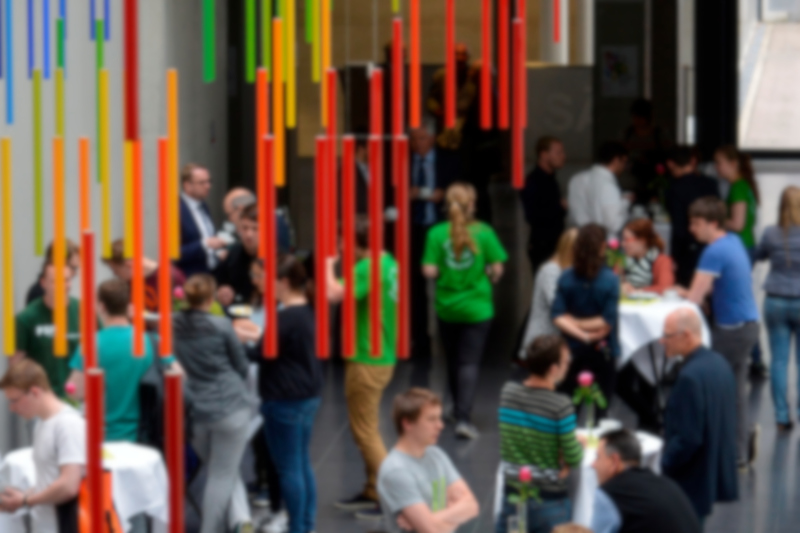 Studium der Chemie Freie Univ. Berlin, Promotion Universität Frankfurt/Main (1997, Prof. G. Mulzer), Postdoktorand Scripps Research Institute La Jolla/USA (1997–1998), Assistant Professor Scripps Research Institute La Jolla/USA (1999–2003), Arbeitsgruppenleiter am Max-Planck-Institut für Kohlenforschung (2003–2005), Direktor und Wissenschaftliches Mitglied am Max-Planck-Institut für Kohlenforschung (seit 2005), Honorarprofessor an der Univ. Köln (seit 2004).